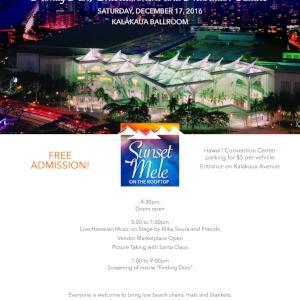 Come join us on December 17, 2016 for our holiday edition of Sunset Mele on the Rooftop! Enjoy live Hawaiian music by Alika Souza and Friends and take a picture with Santa Claus! We will also be screening the feature film "Finding Dory"